Welcome to RDtipoftheday's favorites August edition. This is my blog series that highlights some of the best things I've been watching, reading, listening to, cooking, and eating. These are a few of my favorite things this month. I love something about Summer and fantastic produce. I especially love watermelon. Watermelon day is August 3rd, so celebrate. I bought a watermelon shirt last year; I thought it was very dietitian appropriate. I also found this watermelon cake! So fun! Cooking in Julia Child's kitchen. What a cool experience! I might need to add this to my bucket list. You can rent it for $639 https://www.airbnb.com/rooms/10698076. 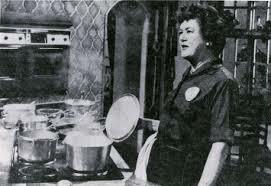 Julia Child's birthday is August 15. In a world with a lot of excess, it's nice to simplify. Here are some tips for building a minimalist pantry. Well, you can't exactly eat these, by they look delicious! 16 Kitchen Skills Every Home Chef Must Know per RealSimple. With school starting soon, my attention is focused on feeding children well and Kids Eat Right Month. Here are some answers to your questions about the new Dietary Guidelines. 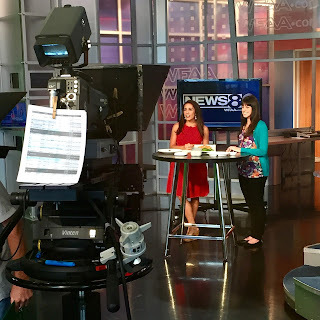 I was recently on the news promoting Kids Eat Right Month and healthy nutrition for children. Here is the video if you want to know more. Have a great, healthy semester! Some people love physical activity. Others find it difficult to include physical activity into their schedule. We know the benefits of physical activity. So, here are 7 workouts you can do in 20 minutes. I've recently started bullet journaling to keep myself organized. Do you bullet journal? How do you keep yourself organized? I'd love to hear your tips. Feel free to leave a comment below. For all the bloggers, it can sometimes feel like you are writing to yourself. Here are some tips for how to write on the Internet and not lose your mind. Here are some tips for using Google Keyword Planner for SEO. I hope you enjoyed these tips, recipes, and all of my favorites from this month. Let me know if this is a feature that you would like me to continue by commenting below. And, let me know if you have something you want to be featured. Thanks! Have a great weekend!